When Lord Byron published The Corsair in February 1814, it sold ten thousand copies on the first day. Readers were caught up in the tale of the brooding Byronic hero – one with “a laughing Devil in his sneer” – who risks his life and his true love for the sake of chivalry. You can read the full text of the poem here. English National Ballet will become the first UK Company to perform the ballet Le Corsaire, with a newly designed production for the Company featuring sets and costumes by Bob Ringwood (Batman, Alien 3, Star Trek Nemesis). Originally revived by Marius Petipa (1863), Le Corsaire is inspired by Byron’s text drawing on the thrilling, passionate tale, and themes of intrigue and tragedy which follow the spirit of Byron’s poem. The exotic setting of Lord Byron’s The Corsair (1814) proved to be a perfect starting point. The ballet Le Corsaire has been developed over many years with characters and scenes added to suit the nature of storytelling though movement. Conrad, the leader of the pirates travels to Turkey and falls in love with a beautiful slave girl, Medora. He rescues her from the cruel Pasha, who has bought her as one of his wives, and they escape back to his island hideaway. Encouraged by Medora, Conrad means to rescue the rest of the slave girls, but his second-in-command Birbanto encourages the other pirates to mutiny. In the struggle, Medora is stolen away by the slave merchant and taken back to the Pasha. Conrad and his men disguise themselves and sneak into the palace, where they manage to rescue Medora and another slave girl, Gulnare. 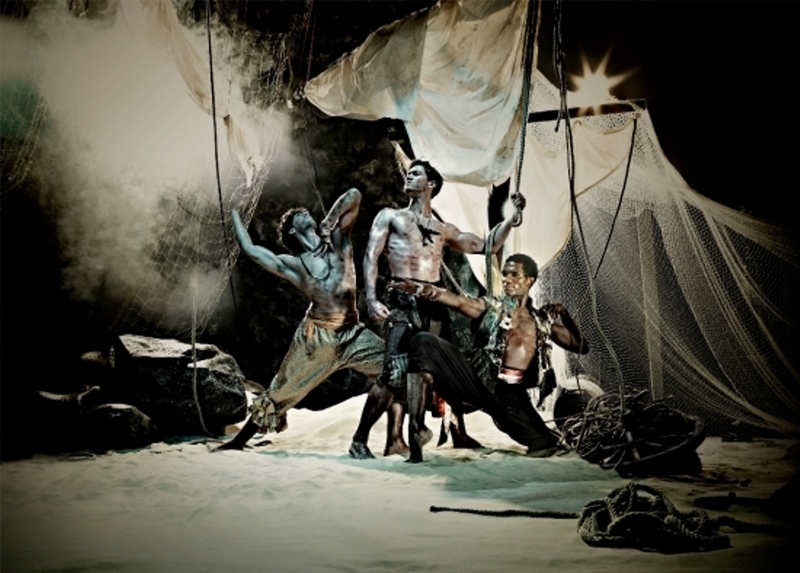 But their ship gets caught in a storm as they try to escape, and there is a tragic ending… in the best ballet tradition! You can read a detailed synopsis here. English National Ballet’s Le Corsaire ends in a tragic shipwreck – one of the most breath-taking spectacles in ballet, which mirrors the poem’s interest in the seductive danger of the sea. The teaser challenge is to write phrases and lines of poetry about the sea, water and the tempestuous nature of a storm at sea. We will collect these to create a mood-board, which will be used as part of Young Poets Network’s celebrations for National Poetry Day 2013, as the theme this year is water. This challenge is now closed – but you can read the wonderful songs of the sea from all the young poets who entered, which we used to celebrate National Poetry Day 2013. By submitting to the teaser and the full challenge, you consent for your information to be shared with our partner English National Ballet for all marketing and communications purposes. Your name, poem, photo and other details may also be used by Young Poets Network, the Poetry Society and English National Ballet for promotional purposes (including online, print and broadcast) in perpetuity. Hi Catriona, that is fine too! Happy writing! why just UK based poets? Hi Jahnavi, the prize for the main challenge means the competition can only be open to UK poets. However, most YPN challenges are open to poets from all over the world, so do keep an eye out! Or sign up to keep updated with our ebulletins. Could I put in a short, four-line stanza or are you just looking for lines regarding the sea? Hi Jake, that’s fine – though we might just select lines of words from any poems/ stanzas submitted. Have You selected and Emailed the winners of Foyles young poet? Can you please tell me a stanza of any winning poet? I am dying to hear it! Dear Chandrakant, The winners have all been notified by email and post – but their names and poems will be revealed on National Poetry Day, 3 October. If you visit http://www.poetrysociety.org.uk/content/competitions/fyp/ after 3 October you will be able to read the poems. Hi Emma, if you live in the UK then you are eligible to enter this challenge. I made a podcast with a young man in Gothenburg Sweden who told me in the pod that he once (two years ago) got a poem published in Oxford Poetry under the pseudonym Hank Stanfeild. I suggest that you listen to the pod and maybe you could us that as a good or bad example (bad you will understand when listening). Who are the winners of the foyler august challenges? Hi Ananya, we will be emailing everyone about the Foyle challenges next week. I would have loved to participate, but alas! I’m not “based” in UK. Hi Harsha, there will be plenty more opportunities! Why not sign up to keep updated? hi,wondering if the results for those 4 august challenges out yet? If not then when will that be????? Plz try to inform as sooon as possible…..
Hi Sara, we will be emailing everyone next week.